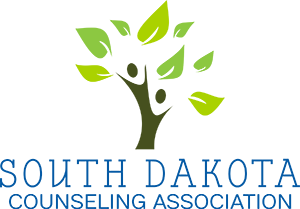 The South Dakota Counseling Association (SDCA) is a state branch of the American Counseling Association and provides professional services for counselors in South Dakota. Belonging to a professional organization is something all counselors should consider. Membership provides networking and professional development opportunities. Counseling is a rapidly changing field and it is imperative that professional counselors keep up with the changes. Membership in SDCA is a great way to stay on top of issues in the counseling field. SDCA also has four Areas of Specialty which represent counselors who work in different settings and have special interests. These Areas of Specialty provide professional services for counselors as well. The Specialty Areas are listed below. SDCA also consist of seven area chapters. These local chapters provide networking and support for counselors in different geographical areas of South Dakota. They are also a great way for counselors to get involved in SDCA and the counseling profession. The chapters are also listed below.